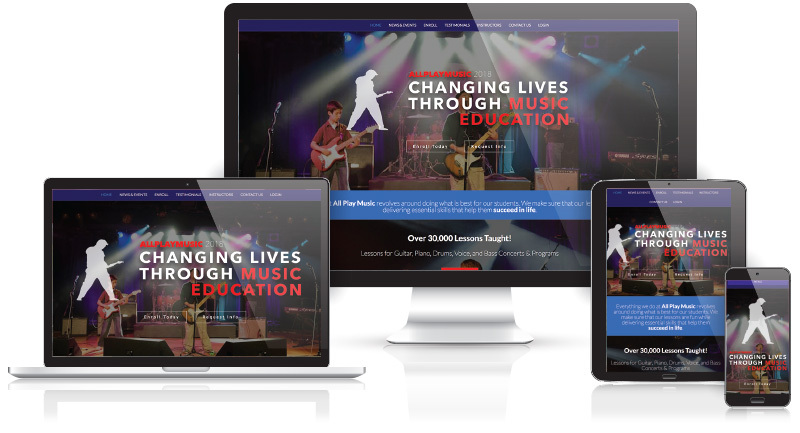 We had the pleasure of working with All Play Music to create their first website. This California based company offers top-notch in-home music lessons for kids and is a POWERHOUSE in their field! A year or so after creating the original site, we realized we needed to do more to engage new prospective students, highlight the company’s amazing success, and offer premium content to paying customers. The new site was a collaborations with several teams and the result is a world class, high-energy website that does exactly what we need it to do for the growth of All Play Music.